After Persona 5, I hadn’t been able to find a game that could top it for me. The story, the characters, the little side things you could do! All of it just amounted to a rich and fulfilling game that left me wanting more. It took a while, and honestly, when it came to Yakuza, I knew about it but didn’t give it a second thought. I attempted to play it once before but couldn’t get past the tutorials and got bored quickly because I wasn’t in the mood. But seeing it on offer on the PlayStation store just peeked my interest and I went back to it! And I regret nothing! 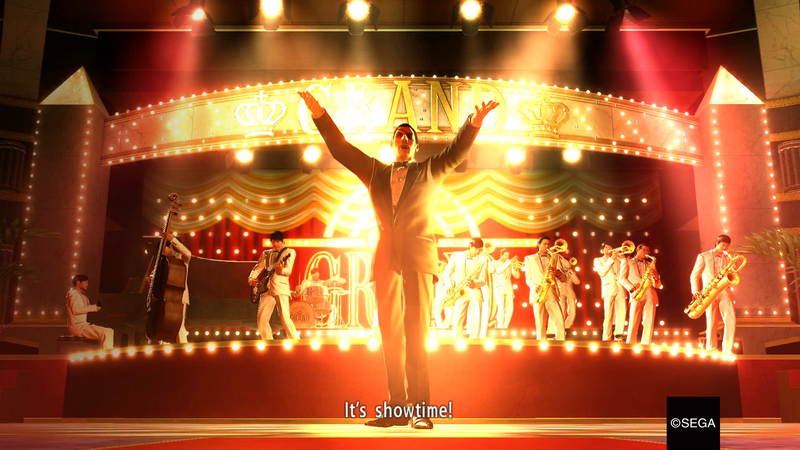 Without giving spoilers, I can simply say that as a newcomer to the Yakuza series, I was astonished at the rich storyline that was given to me. The characters were so in depth and their personalities were unique and bold! Forgetting one would be a challenge as they all stood out in their own way. The two main characters of this game were fantastically detailed and their backstories were ones of shock and suspense. As the story went on, it kept throwing Game of Thrones like family feuds and betrayals! Whenever it stopped, I was left thinking ‘And?! What next? !’ and I just couldn’t keep away. It gets better and better, with twists and turns that give a big WOW feel. It is one of the best-written storylines in a game I’ve had the pleasure of playing. So in Yakuza 0, both characters end up having a business. One is real estate and one is managing a cabaret club. To be honest, I found the real estate business pretty bland. You have to purchase properties in different areas and every so often fight someone who is in charge of the area to take control of it. But, I didn’t see much joy in it. I did, however, get a ton of gameplay out of the cabaret club. It’s really a game in itself as you manage the club’s interior, hire girls to work there and customise them with pretty clothes and makeup! You also play minigames with the girls you hire to help them get more confident in their job! It’s so fun and I spent a bit too much playing it. So the main character in Yakuza is Kiryu. His character is very strong, has decent morals and his backstory gives a hard backbone to the story as it progresses. I think a lot was held back about him as he comes into his element a lot more in the other games from what I’ve heard, so I’m super excited to see more of who he actually is and what he’s like. Then there’s Majima, who is a very big heart with a lot on his shoulders and eventually becomes a lot different as a character in the rest of the series. His backstory had a lot of trauma and pain, which made the character extremely intriguing as you get to know his personality. I definitely prefer Majima as a character, his storyline was more fun for me to play and his sidequests were captivating and fun! But I can’t wait to see what Kiryu brings to the table in later games. There is so much to do! I love the variety given as you wander around the streets and see several awesome side games you can just play and play! There are arcade games, darts, pool, karaoke and dancing among other things! They add so much flavour and character to the game and I cannot wait to see what’s next! Have you played any of the Yakuza games? What are your thoughts? I haven’t played either of these games. I played some of Persona 3 Portable but I wasn’t sure about Persona 5. I’m glad that you have found two games that you enjoy! Hi! check out my recent post I nominated you for the Real Neat Blog award if you would like to do it!